ASX-listed Hawkstone Mining has come a long way in the last year or so and now has its gaze firmly focussed on lithium clay and brine projects in the US, taking its lead from the Government agencies there, who realise their country is well behind the eight ball in the expanding its critical minerals sector. During 2018, Hawkstone acquired private company USA Lithium Limited and with it, two under-explored lithium projects along with that company’s Chairman Paul Lloyd, who took on the Managing Director’s role at Hawkstone and has steered the ship since. In September last year, the company started a maiden drilling program at its newly minted Big Sandy lithium clay project in the far west of Arizona state. Results were solid and outlined significant high-grade mineralisation in a distinct, green-coloured, lithium-bearing clay horizon called the “Upper Green Unit”. True width drill intersections up to 43.8 metres grading 2,089 parts per million, or “ppm”, of lithium, were recorded from only 8.2m down-hole. Another intersection nearby returned 22m @ 2,020 ppm lithium from 8m down-hole and 11m @ 2,013 ppm lithium from 36m in the same drill hole. The widespread scout drilling program delineated anomalous lithium mineralisation over an area of about 3km long by 1km wide, although the sought-after green clay horizon is mapped and interpreted intermittently over 11km of strike length at Big Sandy. The mineralised unit effectively sits right at the surface and has an extraordinarily soft, putty-like consistency that is amenable to free digging and most likely will require no drill and blast or crushing in future mining. Following those initial positive drilling results, Hawkstone got right to work and in November tabled some very encouraging metallurgical test work that saw up to 95% of the lithium extracted from high-grade ore samples using a simple acid leaching technique at room temperatures over 7 hours. This increased to a 97% recovery of the lithium into solution under the same conditions for a 24-hour period. Recovering lithium using sulphuric acid leaching is a common method of extracting and recovering the metal at other clay-hosted projects of this style. Only last month, TSX-listed Cypress Development Corp issued similar metallurgical test work results using this same leaching process for its large Clayton Valley lithium clay project in Nevada, US. That deposit has an indicated mineral resource of 3.835 million tonnes of lithium carbonate equivalent, or “LCE”, contained within 831 million tonnes of ore grading 867 ppm lithium and has considerably more metal than this, if the inferred portion of the mineral resource is also considered. Vancouver-based Lithium Americas Corp will also utilise this processing technology to produce a lithium carbonate product from its massive Thacker Pass clay project in northern Nevada, which has an ore reserve of 179.4 million tonnes grading 3,283 ppm lithium and will generate 3.135 million tonnes of LCE, over a 46-year mine life. There is a considerable momentum building in the US for the country to become self-sufficient in battery and other critical minerals including lithium, as it seeks to become a major player in the electric vehicle, or “EV”, sector, especially as its touted trade war heats up with China. As a result, a number of different companies are now focussed on the lithium potential of clay projects in the western US, including ASX-listed Zenith Minerals at its Burro Creek project in Arizona and Ioneer Limited, who has completed a positive PFS for its Rhyolite Ridge project in southern Nevada. The latter project also contains the element boron, which is a valuable commodity in its own right and adds considerably to the economic viability of Rhyolite Ridge. Tesla’s Gigafactory 1, which is a lithium-ion battery and EV sub-assembly factory located about 750km up the highway from Big Sandy in Nevada, is likely to be a willing customer for Hawkstone’s finished lithium product and any other successful battery mineral producers in the region. Hawkstone recently kicked off a 3,700-metre diamond drilling campaign at Big Sandy, to follow up last year’s very encouraging results. According to the company, the main aim of the current drilling program is to test the extent of the clay-hosted lithium mineralisation in the Northern Mineralised Zone, particularly towards the western margin, where grades are known to fall away. Hawkstone also holds 28.7 square kilometres of interesting looking tenements at the Lordsburg lithium brine project in the far southwestern region of New Mexico state in the US, which is the second asset it acquired from USA Lithium last year. The project sits within a flat lake system at the northernmost end of the Animas Valley. The prospective basin is an elongated feature bounded to the west by the Peloncillo mountains and to the east by the Pyramid mountains. It comprises clays, silts and sands, similar to the rock sequences in the revered Clayton Valley area of central Nevada. The company has identified anomalous lithium up to 160 ppm in sediments bordering the basin and most encouragingly, consistently high lithium to potassium ratios that match the Clayton Valley brines. Hawkstone management also said that high lithium to magnesium ratios of surface samples taken across a salt lake at Lordsburg provides evidence of an excellent metallurgical potential, as magnesium is detrimental to the production of battery-grade lithium carbonate and has to be removed from mineralised brine solutions. There is also evidence of highly saline fluids intersected in an old stock water well located within the basin, that was considered “too salty for human or livestock use”, but music to the ears of any potential lithium brine explorer. The company is planning to commence its maiden exploration activities at the Lordsburg project during the first half of 2019. Outside of the US, Hawkstone also holds the Kangwane South project in South Africa, which contains prospective anthracite coal occurrences located approximately 100km from the coast and the Matola Terminal at Maputo Port, in neighbouring Mozambique. The deposit has a JORC-compliant global resource of 99.7 million tonnes, with 74% of mineral resources classified in the more confident indicated category. The company is presently looking into the best options to monetise the coal asset by way of a divestment. 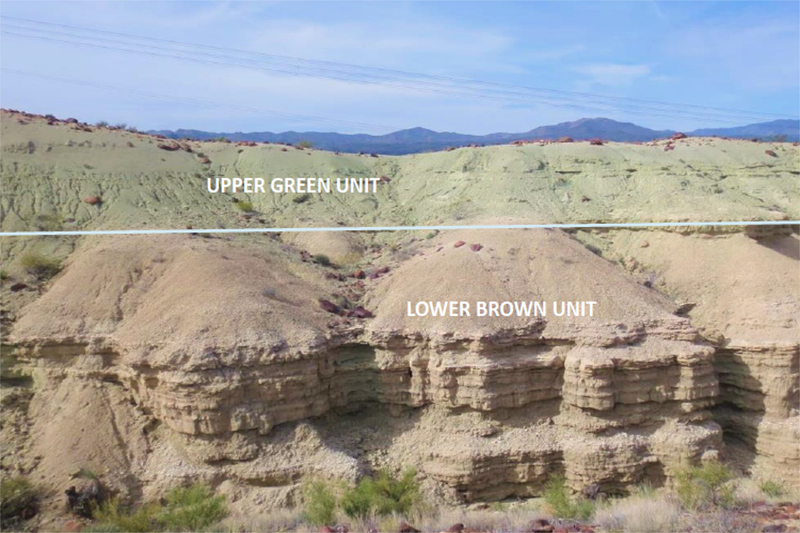 For now, though, Hawkstone is fully invested in delineating a mineral resource estimate for its emerging Big Sandy lithium clay project in Arizona. Results of drilling and metallurgical test work indicate that there may be something quite interesting at this one. With the full support from the US Government to go forth and locate further domestic supplies of lithium, Hawkstone now has every reason to keep its foot on the gas in Arizona.